Do you or your friends have a wedding planned? Want to do without the services of the toastmaster (Or, at least, supplement them with something of their own)? I do not want all the contests to be from the series "Who will quickly drink a glass "or" roll an egg in the pants of a partner"? We picked up for you unresolved and out-of-date contests for the wedding and ransom of the bride. A ransom for a wedding is a traditional part of the holiday. His script is most often prepared by the bridesmaids, led by a witness; They also carry out a ransom. Even if the main part of the holiday (in a cafe,Restaurant, etc.) will be accompanied by a toastmaster, then a ransom is a field for creativity of girlfriends, and often it takes place in a more cheerful and relaxed atmosphere than with a professional presenter. So, what to do to make the ransom of the brideBright, funny and memorable? You can develop an original script for redemption for the wedding, where there will be a story, characters, costumes and so on. And you can confine yourself to a few simple contests or riddles. Everything depends on time and desire. And we will give you a few ideas. Take as the basis scenario for the repurchase of the profession orHobby of the bride. For example, if she is a doctor (or is studying for a doctor), then the girlfriends holding the competitions can be in white coats, do not allow guests to enter the entrance without shoe covers (and sell them), conduct a therapeutic examination of the groom and friends, find comic "Illnesses"("Love of the third degree") and so on. If the bride is fond of growing indoor flowers, then you can sign the entrance to the entrance sign "Flower shop", Ask the young, for what flower he came (and after learning that he came for the bride, say that such a flower is simply not sold), make the groom choose"Floral"Compliments of a lover, etc. Select the competitions in which the groom will be able toTo show their talents. This is doubly relevant if one of the guests present is still not properly acquainted with the groom. Let's say a young singer sings beautifully - make him sing the serenade under the beloved's window, if he shoots accurately in a dash - draw a target on which the reasons for the wedding are written ("For love","by calculation","By hopelessness","By need") And let him choose a shot or throw a dart, why he marries. Involve the witness and other guests. For example, ask the witness to take a handful of seeds, and then make the list of the virtues of the groom, how many seeds fit in his hand. Or you can choose several friends of the groom, make them tell about his virtues - but not just so, but with two chupa-chups in his mouth. And now we offer some amusing contests for a ransom for a wedding. What is the name of the bride? Write on small leaves different names (preferably ridiculous - Dazdraperma, Power Station, Domna, etc. ), fold these leaves and put them in inflatable balls. Invite the groom to burst the ball and read, as he will call sweetheart. If suddenly "Dazdraperma"It does not suit him, then demand a fee or"fine"In the form of a song, dance, etc. In addition to the balls, you can use just a piece of paper, inverted and covered with lemon slices. To see what name on the sheet, you need to eat a lemon and do not frown. If you grimace - pay, if the name is not - pay! "Sweet Lips". Bridesmaids in advance prepare a sheet of the paper, onWhich - prints of the lips, made up with lipstick. Of these prints, only one belongs to the beloved. The groom must guess which one. For every wrong answer - fine! "Mysterious figures". This competition is a good riddle for both ransom andWedding directly. The groom is called numbers or dates that are somehow related to the beloved (age of the bride, date of acquaintance, foot size, mother's birthday, etc.). He must guess what those figures mean. "I believe - I do not believe". This riddle contest will also suit both the ransom andFor a wedding, he usually likes all the guests. Leaders read out various facts from the life of the bride (and if it is not a ransom, but at the wedding itself, then you can take turns reading about the young). A spouse must say, he believes, what could have beenBe, or not. For example, that she had been hitch-hiking to Crimea in her youth, that she had once had a fight with a guy at school, that she had drunk a glass of cognac, etc., for a dispute. 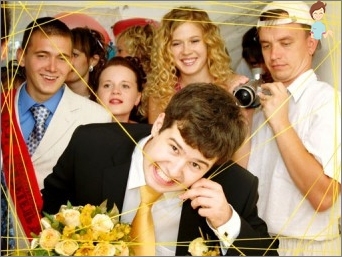 How can you replace the ransom at a wedding? If you decide to abandon the traditional ransom, you can instead arrange for something more modern and even adventurous. Quest for the search for the bride. The groom does the job, he is given a hint, where to go further in search of his beloved. Such a quest can be carried out both in nature and in the city. 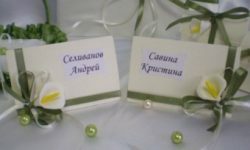 The main thing is that the distances between the points should not be large so that there are no pauses, and guests could accompany the groom on foot. Ethnic rituals. Choose any favorite tradition and beat it in a modern way. It is especially good if you are outside the city: you can kindle a fire, drive dances, take oaths to the elements of Nature, etc. Morning of the bride and the morning of the groom. 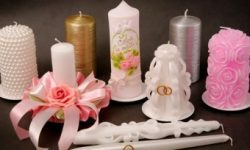 Let the bride and groom invite early girlfriends, organize a romantic photo shoot of gatherings and girlish tea drinking. At the same time, another photographer will let go, as a future spouse "Escorted"In the family life of his friends. The moment of meeting lovers can also be beautifully beat: from singing romances under the window of a loved one before coming riding on a white horse. Now let's talk about contests that can be used directly at the wedding. 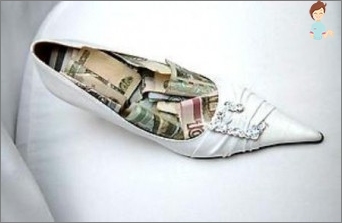 One of the traditional moments, without which almost no wedding costs, is stealing the bride's shoes. Usually for this "Misstep"Witnesses are blown: they say, they have spoiled - work out! One of the witnesses is offered to talk about each of the young people without words (with the help of gestures and facial expressions), and the second one should "transfer"All in words. If you need mass contests in which all guests will participate (and which do not require special efforts), then we offer several options. "Candy with a surprise". Leader bypasses all guests with a sachetMulti-colored sweets, offering everyone a candy. Then he declares that the candies are not simple, but with the task: who, for example, has red, he should say an exquisite compliment to the bride or groom; Who is green - tell a funny story related to one of the young; If there was a yellow - say a toast, etc. Sweets can be replaced with miniature souvenirs. "guess who". The facilitator (with the help of the young) prepares in advance short original descriptions of each of the guests. They can reflect the kind of activity, hobby, character traits, etc. For example: "Extra-class electrician and ideal family man","Conqueror of the mountain peaks","Poet, musician and romantic" etc. Papers with such descriptions are put in a pouch. Leaders bypass this bag of guests, offering everyone to pull out a piece of paper and, after reading out loud, determine who is talking about. This competition helps guests to get to know each other better. "Confession". The presenter prepares in advance various questions (fromOrdinary to tricky), and answers to them. We must try to ensure that any answer is combined with any question. Then the answers are written on paper. They are put in a pouch. The facilitator bypasses the guests and asks a question to everyone and suggests reading out the answer that the guest will pull out of the bag. There can be combinations of the type "Do you like bald men?»-«This is my heart wound!»; «Have you ever been in the sobering-up station?»-«This is my hobby!" etc. 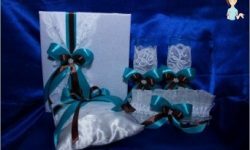 On the pages of our site you will find other ideas, contests and riddles for any celebration. Let your wedding be fun and easy!